Mount Eyre Vineyards combines a European family tradition of winemaking with a generation of experience in Australian viticulture. From family roots in the tiny towns of Alestena, in the Peleponnese, Greece, and Vallo della Lucania, Italy, the Tsironis and Iannuzzi families have an unbroken involvement in wine extending back centuries, tilling their vines and offering wine to friends and visitors alike. Mount Eyre Vineyards has been energetic and innovative, typifying the vigour and vision of the modern Australian wine industry, to produce distinctive high quality regional wines for the pleasure of the world's wine drinkers. At Mount Eyre Vineyards they have great respect for terroir. They have combined the different types of soils, aspects and altitude of their exceptional vineyards to produce distinctive regional wines. Their Australian vineyard story starts in Broke, in the Hunter Valley, where the Three Ponds vineyard lies on the sandy loam river flats of Monkey Place Creek. Planted in 1970, Mount Eyre Vineyards have over 30 acres of Semillon, Chardonnay, Chambourcin and Shiraz. 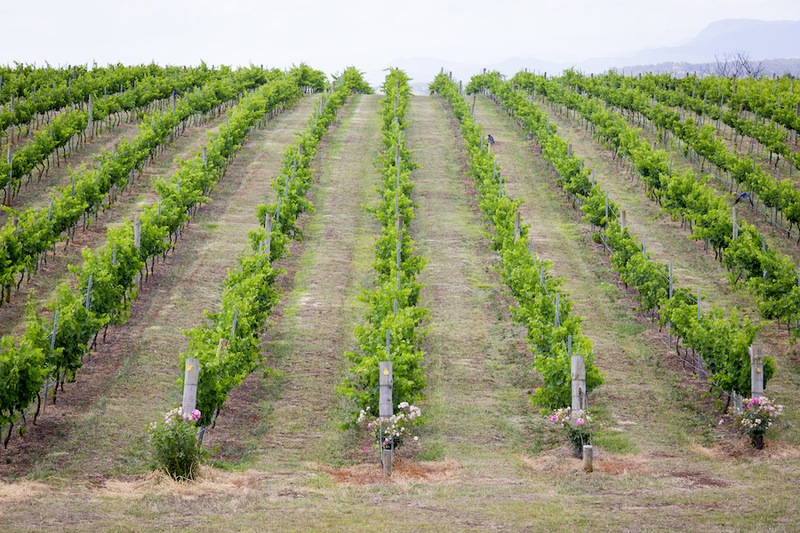 Mount Eyre Vineyard's second property, the Holman Estate, Pokolbin, represents a most exceptional site. In the heart of the Hunter Valley, its deep red loams have proven their worth and been shown by history to be the backbone of many great Hunter Valley red wines. Here 16 acres are planted to shiraz, merlot and viognier. Mount Eyre Vineyards currently offers a broad selection of wines to suit different budgets and tastes which are available to purchase online or Garden Cellars at Hunter Valley Gardens Village stocks the complete range of their wines, including some exclusive lines that are not available online or in bottle shops and restaurants. Click here to book your hunter valley accommodation at Holman Estate.